This guest blog was contributed by our colleague and friend Lynita White! Is there one best way to communicate pain science education to patients in everyday clinical practice? Is it even important to include in treatment? As a new grad PT and a prior Masters of Rehabilitation Sciences grad, I hope to shine a small light on my perspective on these questions. During my MSc, my primary research was in a chronic or persistent pain rehabilitation program, which I mention here so you can understand the context of my opinions. If you are reading this blog, I am sure that you’ve read plenty about pain science, or at least heard of integrating it into clinical practice. 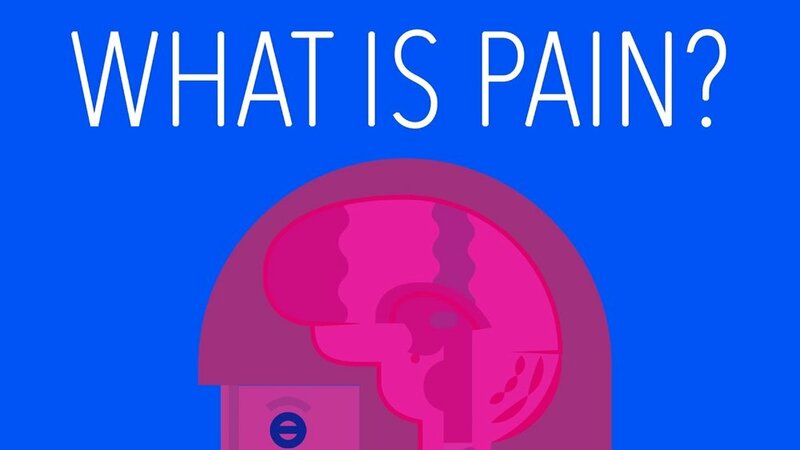 If so, you are likely familiar with Pain Neuroscience Education (PNE), which is the act of teaching people about the neurobiology and neuroanatomy relating to their pain experience. David Butler and Lorimer Moseley lay out PNE in a way that is understandable to patients and practitioners in their book Explain Pain (Butler & Moseley, 2013). This method of education is a refreshing step away from explaining pain in purely pathoanatomical terms. As of 2015, there were only a handful of studies on the topic of PNE (ref: Clarke et al., 2011, Louw, Diener, Butler, & Puentedura, 2011), and although patients who are exposed to PNE do see improvements in outcomes such as return to work, physical performance, disability, and pain (ref: Clarke et al., 2011; Louw et al., 2011; Moseley, 2002), it was unknown whether patients who learn more about the neurobiology and neuroanatomy of their pain actually see a higher degree of improvement than those who don’t. This brings us to my research. The manuscript describing the study that I designed has been accepted for publication in Physiotherapy Canada, and will be available in 2018. A quick summary of the design and results: we investigated the charts of 102 patients who completed the Pain Management Program (PMP) at OrionHealth Vancouver. The PMP was targeted toward chronic pain patients, mostly referred by a workers compensation board, and was interdisciplinary in nature. This means that a number of healthcare professionals including physiotherapists, occupational therapists, kinesiologists, physicians, a pharmacist, and a psychologist, all worked together under one roof toward the same collaborative goals. Within the 6-week program, patients attended two 90-minute PNE classes, and the content of these classes was comparable to Butler and Moseley’s teaching resources (ref: 2013). My colleagues and I carried out a number of analyses on the chart data, but the most interesting finding was related to pain neurophysiology knowledge, which we measured using the Neurophysiology of Pain Questionnaire at assessment and discharge. This questionnaire is meant to measure how much patients learn from PNE sessions, and eight out of thirteen items in the NPQ-R explicitly reference the nervous system in some way, using simplified neuroanatomical terms such as “special pain receptors”, “special nerves”, “the brain”, and “spinal cord”. We found that increases in pain knowledge did not predict clinical outcomes in the chronic pain patients – that is, learning more about pain neurophysiology and neuroanatomy did not seem to lead to improvements in depression, pain severity, or the extent that pain interfered in patients’ daily lives. This result led to some important considerations about PNE. This brings me to my own interpretation and the clinical application of my findings. First and foremost, I do not think that pain education generally or PNE specifically is ineffective for improving patient outcomes. On the contrary, I think that the few promising studies involving PNE are the first of many, and that pain education will continue to demonstrate great success in the physiotherapy literature. However, I am not sure that explicitly discussing neuroanatomy and neurophysiology is essential for eliciting positive change in our patients with pain. While the neuroanatomical content has been described as an essential aspect of PNE, it is also expected that pain beliefs will be altered following the intervention – nociceptive input will no longer be interpreted as threatening (ref: Moseley, 2012). I think it may be this reduction of threat that is more important for patient outcomes than the specific neurology content. Most supportive of this is a study whose design inspired mine (ref: McCracken & Gross, 1998), where the authors investigated whether reductions in pain related anxiety predicted clinical outcomes in an interdisciplinary setting. They found that pain related anxiety accounted for between 13% and 20% of the variance of outcomes in depression, pain severity, pain interference, affective distress, and general activity. Putting our studies side by side does not mean that patients who are exposed to PNE do worse than those who are not, just that the mechanisms of PNE may not be what we thought they were. Perhaps the inherent reassurance that goes along with PNE leads to reduced anxiety and therefore better outcomes. Of course, PNE advocates are not “stuck” on neuroanatomy/neurophysiology as the only aspect of PNE. For many of the researchers of the Body in Mind Group headed by Lorimer Moseley, PNE is always described and discussed in a broader biopsychosocial context, where they explain to patients that everything from local tissue effects from movement to safety messages from the clinician have an impact on pain. In an excellent paper describing how to teach people about pain in a clinical setting (ref; Louw et al 2016), the authors discuss the importance of trust and how it is built by integrating psychosocial aspects with the biology of pain. I think pain education is essential – or at least very important – for seeing improvements in patient outcomes. I do not believe that the patients’ knowledge about precise neurophysiology is essential for seeing these improvements. My interpretation of the literature is that reducing pain related anxiety or fear of movement is one important component for good clinical outcomes, and that these reductions can come from clinician reassurance via pain education. So how do I apply this in my own clinical practice? I am a new grad PT without the confidence to use layman vocabulary to explain nociception to patients, so whenever I try to mention “nerves” or “the brain” to my patients, I can trip over my words. I know that I know what I’m talking about, but I worry that I lose credibility and trust with the patient when I stumble over terminology that they themselves may not understand. After not doing so well with the explicit neurophysiology approach, and after completing my research on the topic, I have transitioned to a much simpler narrative with my patients, still using a framework from the PNE literature. After a thorough subjective history, objective assessment, and after ruling out red flags, I tell many of my patients that “nothing serious is happening at your tissues”, “things may be more sensitive at the moment because of X, Y, and Z” (which could be sleep, finals stress, a change in loading habits, etc), and “you will get better”, and “physio/movement/exercise can help”. Of course, I only communicate this if I believe it to be true. With some patients, I am more comfortable discussing the function and impact of their nervous system and the sensitivity of the same, but I am never concerned about whether they remembered every detail of my explanation, just whether they leave their appointment reassured. My physiotherapy colleagues and I have discussed anecdotally that patients don’t tend to remember most of what we say from session to session, and I am sure that there is research to back this up as well. Short simple messages, or the confidence that a patient may remember only bits and pieces of the PNE that I provide, has been effective in my career thus far, and I look forward to the updates in both the literature and my own clinical practice. A final disclaimer: it is important to note that my study is the first to my knowledge investigating the specific question of pain knowledge predicting clinical outcomes, and was carried out in a very specific population. It may not be generalizable to all patients and would do well with confirmation in other groups – get at it, future researchers! Butler, D. S., & Moseley, G. L. (2013). Explain Pain (2nd ed.). Adelaide: Noigroup Publications. Louw A., Zimney, K., O’Hotto, C., Hilton, S. (2016). The clinical application of teaching people about pain. Physical Therapy and Practice, 32(5), 285-395. Older PostWhat Does AMP Do?